Brody Welte stepped on a stand up paddle board (SUP) in 2007 in Hawai’i and never looked back. Despite the economic downturn, Welte launched his own SUP company in 2008 and developed a comprehensive SUP fitness training program, PaddleFit. Today his San Diego-based business has helped train 1,100 coaches in 20 countries. Welte’s company recently formed a partnership with Dave Kalama, a world-class athlete and innovator in watersports, to create elite-level coaching experiences. And he puts his coaching theories into practice with board manufacturer Infinity’s team that boasts top athletes Candice Appleby and Slater Trout. He is also the race coach for Team USA competing at the 2015 ISA World Stand Up Paddleboard Championships in May in Mexico. 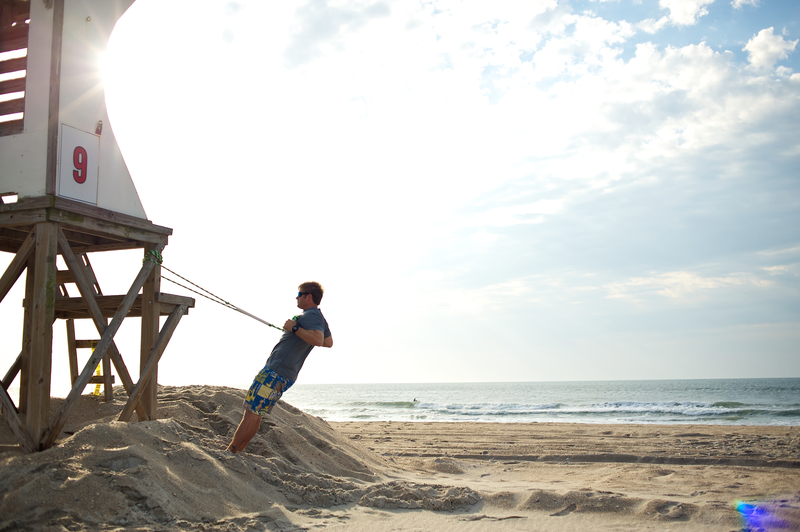 SUP is only in its infancy, he says, and he is on board to help athletes and enthusiasts reach their peak performance. 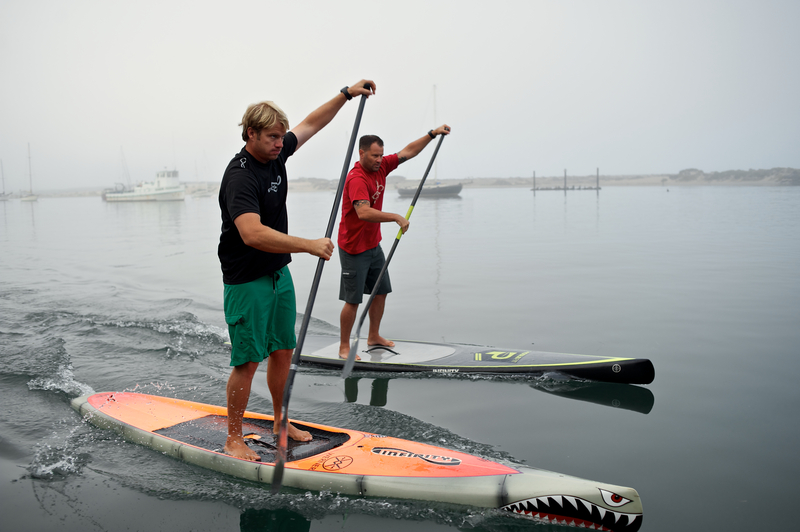 What’s your take on what people need to think about when getting in shape for SUP? One of the most common mistakes that I hear is that SUP is a core exercise. Now before people throw me under the bus, let me explain myself. The great thing about SUP is that most anyone can grab a paddle and a board, then stand up and paddle their first time. The barrier to entry is relatively low and also your muscle engagement is low and you are using your core very little. SUP does not become a true core exercise until you learn to do it properly. Another major issue is that people do not understand what your core is. Many people think that your core is your ab muscles. While your abs are important muscles, your core consists of so much more. The simplest way that I describe your core is basically everything from your knees to your shoulders. This incorporates your large back muscles, your abdominal muscles as well as your posterior (glutes, hamstrings) and anterior (quads, hip flexors) leg muscles. When you are paddling with proper technique you are engaging and incorporating all of these great power muscles. What kind of training myths do you encounter when you are working with your clients? There are a lot of training myths out there. People are told to do cardio or strength training and then maybe a little stretching. Our bodies are very complex and extremely well designed. To truly reach our peak, no matter what our goals are, we need to have a comprehensive training program. You need a solid corrective exercise program to get your body functioning properly. You need a good dynamic warm up and a strategy to prepare your body for whatever you are putting it through. Strength training is essential, but has many parts such as rotational strength, functional strength and power development like plyometrics. Flexibility is a key component but must be done as part of a larger program. The traditional definition of cardio such as running on a treadmill or exercise bike is not a very efficient way to train your body. Energy System Development (ESD) is a better strategy to focus on because it will develop both power and endurance through things like interval training. All of this sounds complex but it really is not. Not every trainer is going to know or understand these components. What is the proper way to stand up paddle? This can be difficult to describe without showing. Most new paddlers stand very upright while they are paddling with their hands close together. That incorporates very little core and most people’s arms and shoulders get tired which is not good. So the progression that I have created for PaddleFit teaches people to use their entire body by focusing on the rotation of the upper body and at the same time hinging at the hips to reach their paddle to the proper position. Once someone has properly extended then they can use their entire body to propel the board forward. Most new paddlers do not do this. 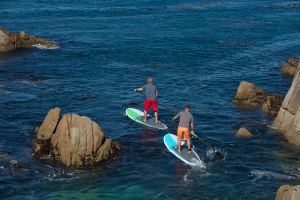 What are your 3 favorite destinations for SUP? Number 1 on the list is Hanalei Bay on the island of Kaua’i. That place is special for two reasons. One is that it is one of the most beautiful places to paddle with green mountains in the background and with large waterfalls coming down. The other reason is that it is where I learned how to SUP when I lived there for a couple of years. My second favorite place is Namotu, Fiji. Fiji should steal the slogan “Happiest Place on Earth” from Disney. The waves are great, the people are great and it is in the middle of nowhere in the Pacific. That place is magical. Number 3 would be Cascade, ID. I went to the Payette River Games last year and spent some time in the whitewater. They have a great park to learn whitewater SUP. I know that there are crazier whitewater places but Cascade seems to be “learner friendly” and it is very beautiful. With SUP being a relatively new sport, there must be some exciting times ahead–any that you would like to highlight? For me the most notable moment has yet to happen. 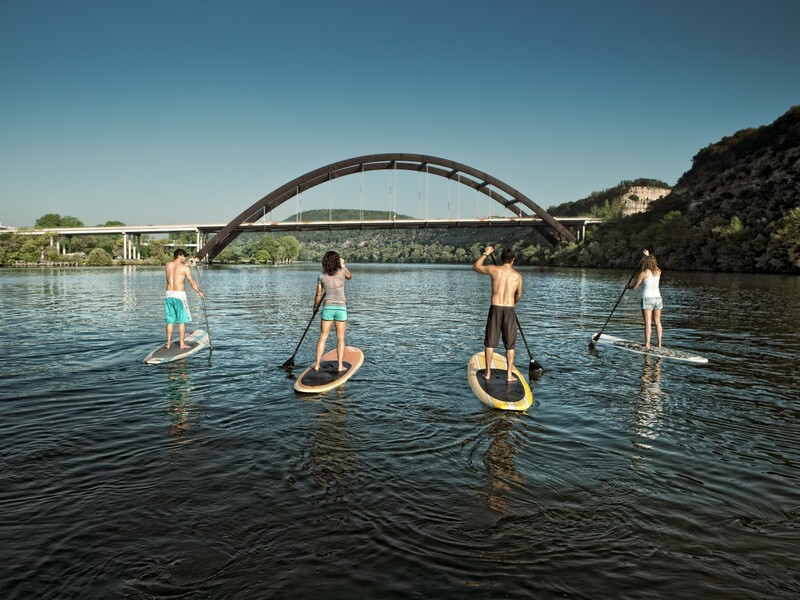 SUP was just included in the 2019 Pan Am Games, which is monumental in the process of becoming an Olympic sport. So I am thankful to be the race coach now; the potential and opportunity to coach on that level is exciting. So the best is yet to come. This entry was posted in Features, Homepage Featured, Standup Paddling by Kimberly Hatfield. Bookmark the permalink.